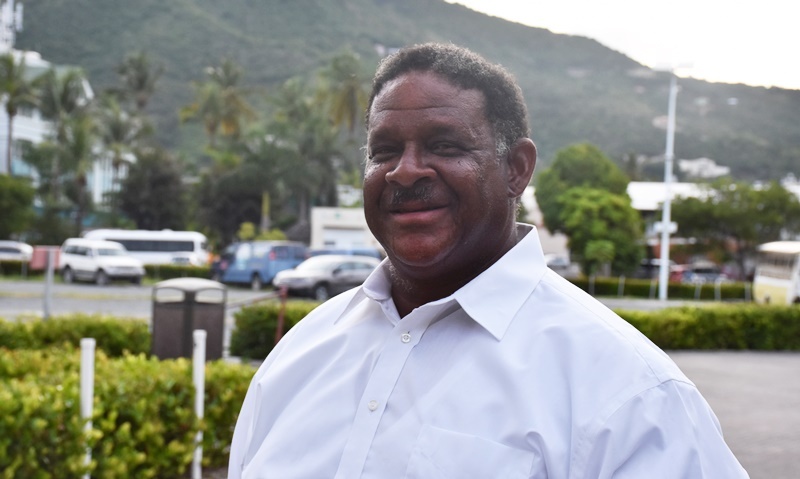 COMMENTARY: Is BVI able to pay its financial obligations? Accurate statistics and sound economic metrics are critical to engineering economic recovery for the British Virgin Islands. Now, a July article in a national online newspaper stated that ‘public debt was three times what was held in the country’s reserve fund’. The story further asserted that the matter would be made worse because: ‘revenue for 2018 is projected to fall below previous years’. The preceding would be the clear outcome of the September 2017 disasters that destroyed the country’s infrastructure. OK. What struck this economics layman was the ambiguity in that assessment; not to criticize a very well written story. But, what was the narrative attempting to imprint on to the mind of the reader? The story was a noble effort of getting Joe Public to better understand the state of the country’s finances. But what would Joe Public get from telling him that public debt was three times what were held in reserves, apart from some allusion to a problem of indebtedness? What was the actual public debt figure in hard numbers and how was that debt distributed in terms of who is owed cash by the government? Within what time periods was the debt to be settled? And what was to be garnered by stating that the debt load was much higher than the country’s reserves? Where was that assertion derived? How was it derived? And what was the benchmark figure for asserting the debt was too high? Where was that benchmark derived? Above all, how would a public debt of X affect Joe’s own bottom line in terms of Joe’s standard and quality of life? The writer was clearly attempting to explain to the public how that debt would impact the economy and families? But, what did debt of three times the amount in reserves mean? Finance and economics are very complex subjects: esoteric, even arcane. And it is critical for everyone, expert and layperson, to understand the level of national indebtedness of the Virgin Islands at any one point in time; and especially today with the country in an economic recession sourced in a natural disaster. So why is it of paramount importance to understand indebtedness? Because, like with any responsible household an understanding of the financial health and indebtedness of the British Virgin Islands, is a snapshot of the country’s ability to pay its way through in terms of the country’s financial obligations to both lenders and creditors: internal and external. An accurate assessment of the country’s debt position is a rendition of the economic health of the country in terms of its ability to grow economically and provide prosperity for its 20-30,000 inhabitants. But wait, what about Orlando’s $300 million extension to our airport runway? I thought he said that was our priority following the storms. Shouldn’t we pay off the $3O million pier cost over runs and the $7 million we lost in the BVI Airline scam first? The national debt being 3X the reserve fund is a murky metric. Debt to GDP is a clearer metric;GDP is measured in percent and is a comparison of what a country owes to what it produces; it is a country’s ability to pay its debt. It is also a measure of how long it would take to repay debt assuming that all revenue was dedicated to debt. That is not realistic so incurred debt would take some time to payback. Debt to GDP also helps investors determine ia country has level of debt and is a meaure of the health of the economy. What is a practical debt to GDP ratio? There is no universal ratio. However, some institutions recommend a 40% ratio for developing countries and 60% for developed countries; a high debt to GDP ratio is not necessarily bad for a growing economy. As such, assuming the VI has a debt load of $125M and a GDP of $1B its debt/GDP ratio is approx 13%; this figure is well within the recommended 40%. Nonetheless, though it is within the recommended %, does not mean it can afford or should borrow money. That said, the territory is in a recovery mode from the devastation caused by Hurricanes Irmaria and definitely needs to borrow money to rebuild; it will take time (years) for the BVI to repay its debt. Thus, it (BVI) must effectively plan, programme, budget and execute its recovery needs for the long-term, acquiring value for money. The need to borrow will increase the debt load and the debt to GDP ratio. Additionally, the temporary diminished GDP due to hurricane damage will extend the time needed to repay loans. Moreover, a reserve fund of 4-6 months of normal operating expenses is critical and vital for emergencies, ie, Hurricanes Irma and Maria, historic flood……etc. Can the BVI afford to repay its debt? Yes, but it will have to prioritize its needs and effectively manage its finances. In the short term, BVI residents will have to endure some sacrifices and exhibit a little patience in the recovery effort. Endure some sacrifices? Reserve fund for national emergencies? We apparently didn’t have a reserve fund to rebuild our roads, rebuild our power, rebuild our water , rebuild our schools, rebuild our internet, rebuild our ports. Our leaders were more concerned about extending our runway so people could land their chartered jets here. And they gave away our reserve fund to an airline that didn’t even need the longer runway to land our planes on. Where are our planes? Where is the money set aside for our national emergencies? Please Mr Governor, our leaders can’t answer these questions. Can you help us? Dr. Igwe asked: Is the BVI able to pay its financial obligations? It depends. If its GDP plummets to low level, it may not. If either tourism or financial services tanks, it may not. If there is no fiscal adjustment(s), it may not. If there is no restructuring and sacrificing, it may not. On the other hand, if the GDP can be boosted back to approximately $1B or better, lt may be able to. Moreover, debt and debt to GDP ratio is strangling many of its regional sister countries. For example, the following are some countries 2016 debt to GDP ratio: Antigua & Barbuda 92%, Bahamas 67%, Barbados 107%, Dominica 81%, Grenada, 84%, Jamaica 115%, St. Kitts & Nevis 66%, St Lucia 83%, St. Vincent and Grenadines 79%, and Trinidad and Tobago 61%. Based on 2016 GDP and debt load, the BVI debt to gdp is lower than 20%. However, with a decline in GDP, this number will rise. A low Debt/GDP indicates that the national debt can be serviced without a further rise in debt. The IMF and World Bank suggest that a debt/GDP ratio over 60% is challenging, for too much government revenue is required to service debt with not enough remaining to deliver goods and services. The task at hand is controlling debt and increasing GDP. If you are not from the British Virgin Islands then why are you into the affairs of the British Virgin Islands? The British Virgin Islands is a British Dependent Territory/British Overseas Territory of the United Kingdom. It is part of England, Scotland, Wales, Northern Ireland and all UK Territories. Why don’t you stay out of The Territory of The British Virgin Islands. Why don’t you stay out of the United Kingdom? Who are you? People have dangerous, malicious intent towards others. @E. Leonard, PO, geez som bred mon. This Debt/ GDP ting is for developed/advanced countries. 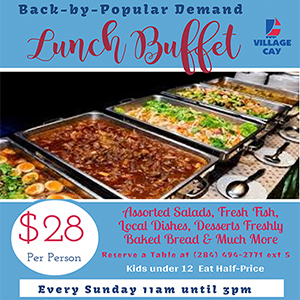 The BVI strugggles to handle basic needs, ie, the slow aftermath response to Hurricanes Irma and Maria…. ..etc . We need to focus on the simple, basic tings. This is my bulaloo, some type of money during my great grand parents time. Thanks for inputs though. Tarl, the BVI is not that less: it can walk and chew gum. Debt/GDP ratio should be something that the MoF can and should manage. If no, get a new crew.